Many of you may have seen these photos already, but here is July through the lens of my camera and shared through Instagram. You can find me here @Kallieish. 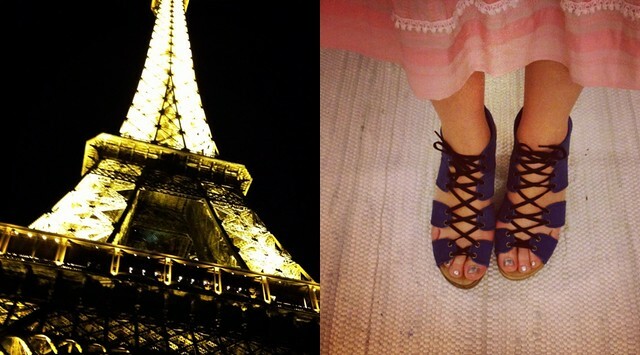 I started the month with Champagne beneath the Eiffel Tower,and in New York my beautiful shoes had arrived at No. 6. Rich's dad made me my first Manhattan and I pretended to share it with his pet turtles. 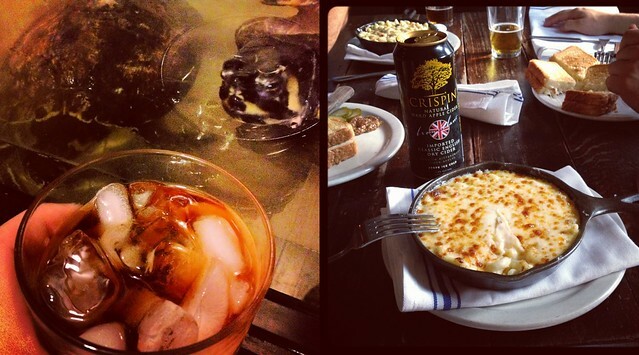 There was glorious macaroni and cheese with a Crispin cider at Sweet Afton. 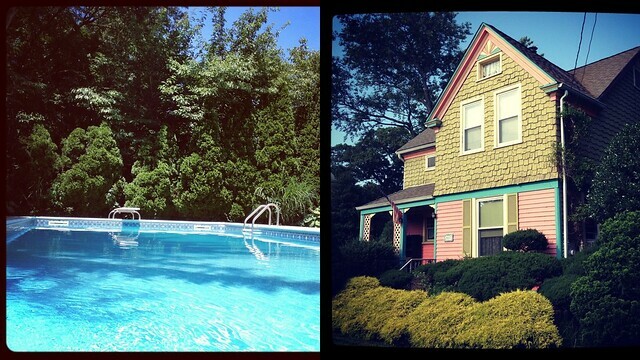 Visited a summer oasis and spent time at my mom's house. The book fairy delivered this gift to my apartment. 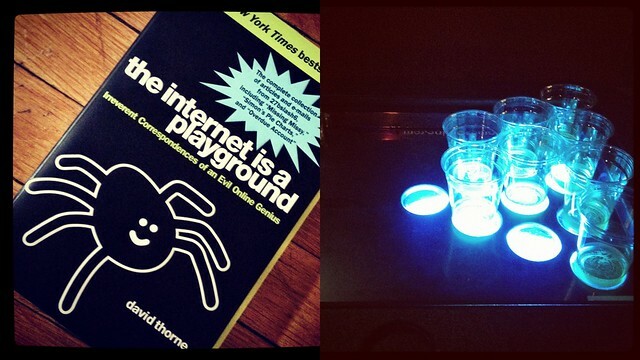 There was a strange glowing beer pong table at my office's summer outing. 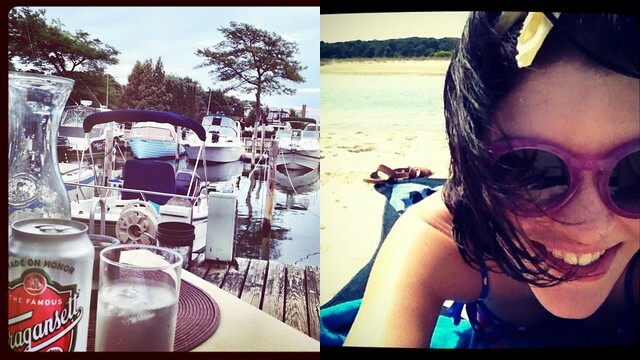 A weekend on the North Fork drinking Naragansett on Shelter Island and sunbathing in Southold. 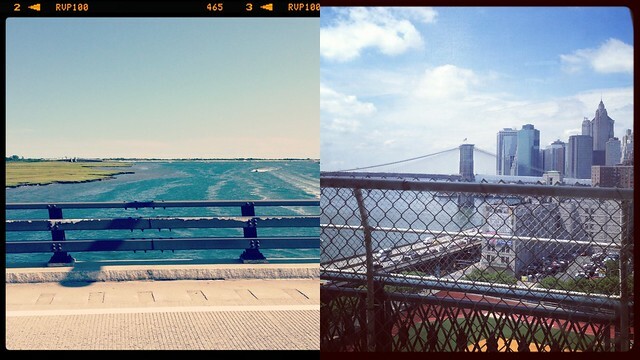 Crossing the Great South Bay for a day at the beach, and the East River to Brooklyn on my days off. 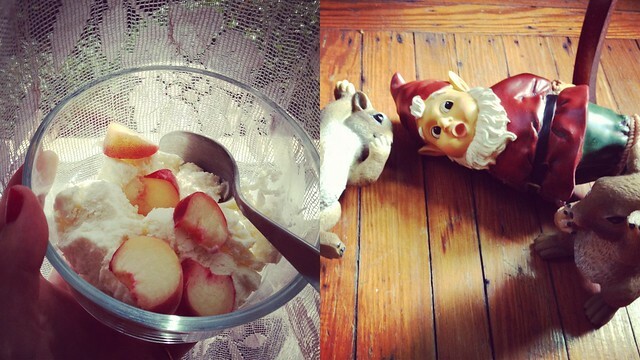 Another afternoon at my mom's house spent eating basil ice cream with peach slices and hanging out with my gnome collection. 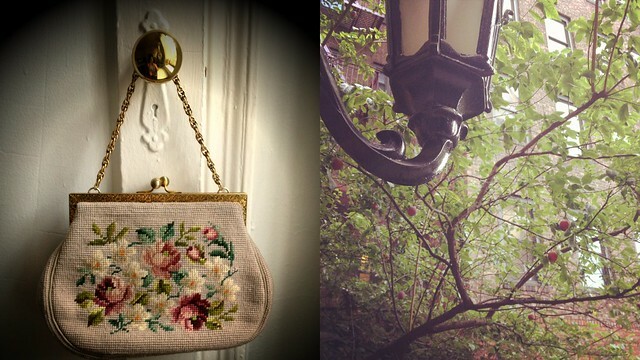 A vintage tapestry purse you will be seeing a lot more of and I discovered a peach tree right outside my door. 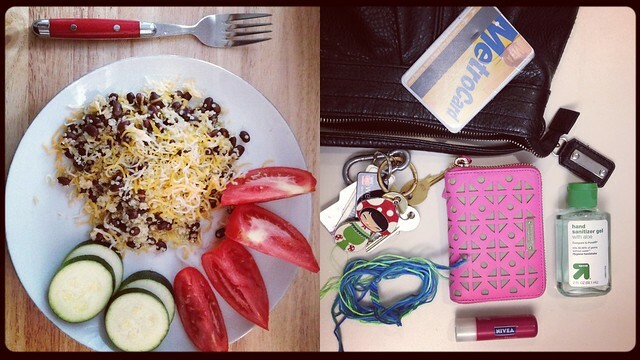 Hmmm, I'm starting to not feel like a person for not having instagram, or even a phone that takes pictures, bah. NO WAY! You don't need a fancy phone! I envy that. If I could give up my smartphone I would, but since I can't Instagram helps assuage my feelings of hatred for mobile devices. I have the same problem and they always end up swimming in a much bigger bag! Hopefully I can keep that from happening to this one.